So far Bilma PUD has created 11 blog entries. The Bilma Public Utility District has issued a boiled water advisory to our customers. Our routine sampling, as required by the U.S. Environmental Protection Agency (EPA) and Texas Commission on Environmental Quality (TCEQ), detected coliform organisms. While we feel chlorine levels are sufficient to eliminate the coliform organisms, the TCEQ requires us to advise customers to boil water to ensure safe consumption. We have already re-sampled water and are having it tested at a certified lab. We expect to see safe drinking water levels in the next lab report on Thursday, January 10. We will keep you informed through notices on our web site and signs posted in the community. A copy of the boil water notice required by the TCEQ is below. We apologize for the inconvenience of this situation. The Bilma Board will conduct a full-review of the test and lab process to ensure safe delivery of superior water quality to our residents, in accordance with EPA and TCEQ requirements. Electronic Waste Pickup and Document Shredding for Bilma PUD residents will take place on October 27, 2018. Document destruction will be provided on-site, so you can watch as your files are shredded. These services will be provided free of charge by Residential Recycling and Refuse of Texas. Paper documents for shredding- must remove all metal other than staples from paper and all plastic sleeves. As you know, the fire station building located on Winding Ridge that is under lease by Bilma PUD to Klein VFD is currently being used as a vehicle maintenance facility. Please be aware that once the proposed expansion of the building is complete, the facility will continue to be used for that purpose for the next 2-3 years. After such time period, Klein VFD (HCESD #16) intends to use the building to house reserve fire engine vehicles and equipment. Please submit any comments or questions about this matter by 5:00 p.m., Tuesday, June 19th on this website. You may also provide your comments by attending the special meeting of the Bilma PUD Board to be held at 8:00 a.m. on Wednesday, June 20th at the Spring Creek Oaks Clubhouse located at 6002 Bur Oak. The purpose of this letter is to inform you about what is going on in the community and to solicit your feedback regarding an anticipated construction project in your neighborhood. I have been asked to contact you on behalf of Harris County Emergency Services District No. 16 (“ESD 16”), which is the local governmental agency responsible for providing fire protection and emergency response services in your area. While you may not be familiar with that entity, you are most likely familiar with the Klein Volunteer Fire Department (“KVFD”) who is contracted by ESD 16 to provide services to your neighborhood. One of the facilities KVFD uses is located on Winding Ridge Drive (the “Station”) adjacent to the Bilma Public Utility District (“Bilma PUD”) wastewater treatment plant. Bilma PUD provides water and sewer services to your home, owns the Winding Ridge Drive property where the KVFD station is located and leases the Station property to KVFD for its use. As you are aware, the population and development in our community is increasing and as a result of such development, ESD 16 needs to keep up with the pace of growth to provide the same high level of emergency services to the Klein community. To achieve that goal, ESD 16 has requested Bilma PUD to allow the construction of a 2,400 square foot addition to the Station. This addition would be at the rear of the property, near the flood control ditch and within the existing fenced area of the Station. As part of the process for consideration of this expansion, the directors of Bilma PUD have requested that ESD 16 send this notice to Spring Creek Oaks residents informing them about the requested change and proposed construction. Additionally, you are being provided the opportunity to comment on ESD 16’s proposed expansion plans on the Bilma PUD’s website at http://www.bilmapud.com/ or in person at their meeting scheduled for June 7th at 5:00 p.m., at the Spring Creek Oaks Clubhouse located at 6002 Bur Oak. In addition, please be aware that ESD 16 has acquired new property on Stuebner Airline to perform its maintenance operations, but that site will not be developed and available for use for several years. However, once the new maintenance facility is open on Stuebner Airline (anticipated to open in 2021), the existing Station would become a facility for housing reserve apparatus for use by KVFD when the need arises. Included with this letter are conceptual plans for the Winding Ridge Drive expansion. We look forward to hearing from you. 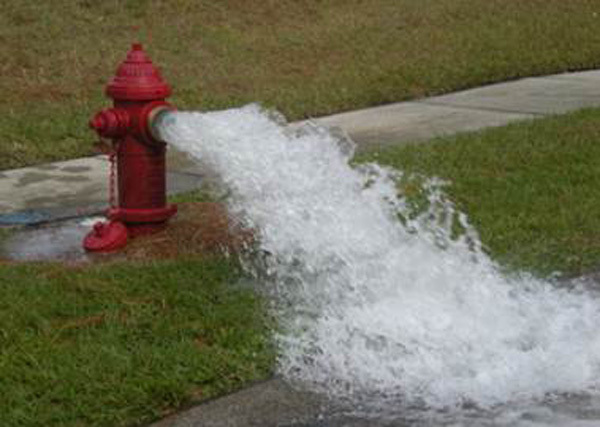 Bilma PUD will be conducting system-wide fire hydrant flushing the weeks of May 14th and May 21st. The purpose of the flushing is to ensure optimum water quality by removing sedimentation or mineral deposits that may be settled on the bottom of the water mains. Customers within the immediate area during or immediately following the flushing operation may experience temporary periods of reduced water pressure and/or discolored water. If this occurs, you should open your water faucet until it clears.